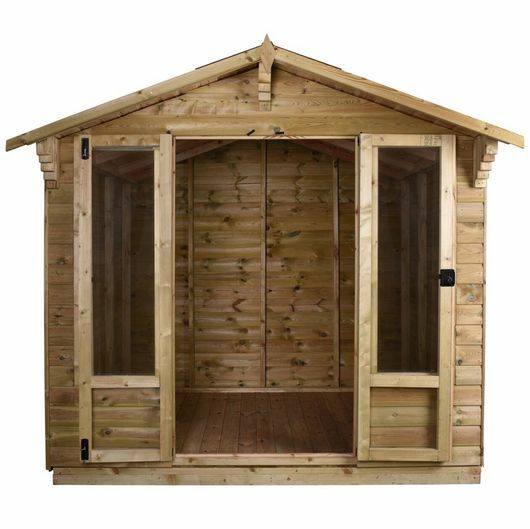 Make the most of your garden space with a stunning Titan 3 Tanalised Summerhouse: fabulous for storage, as a home bar or just to relax in for some peace and quiet. 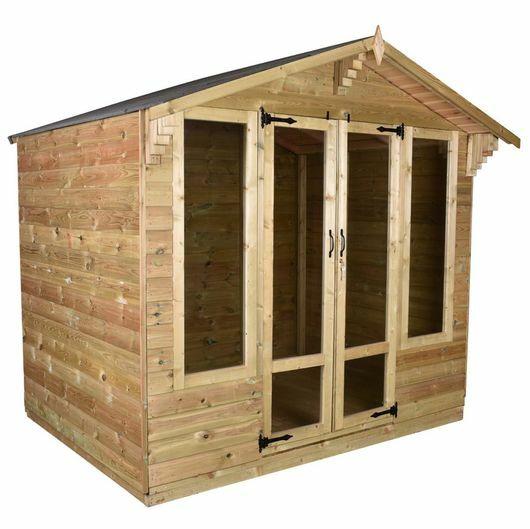 Our top of the range Titan 3 Tanalised Summerhouse looks stunning in any garden setting. This summerhouse features our tanalised tongue and groove shiplap cladding (available 12mm or 16mm). 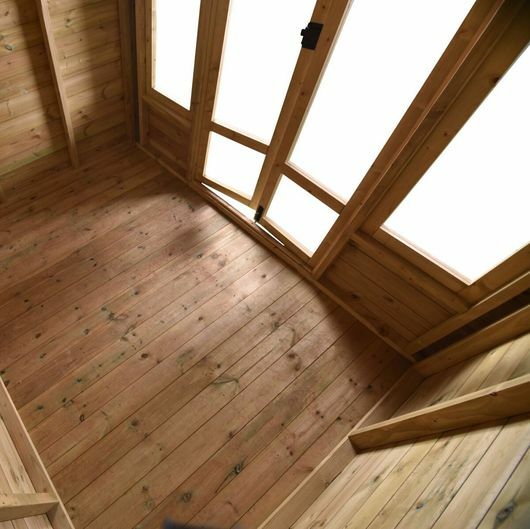 The toughened glass in the windows and doors allows for plenty of light whilst ensuring a safe and sturdy construction.